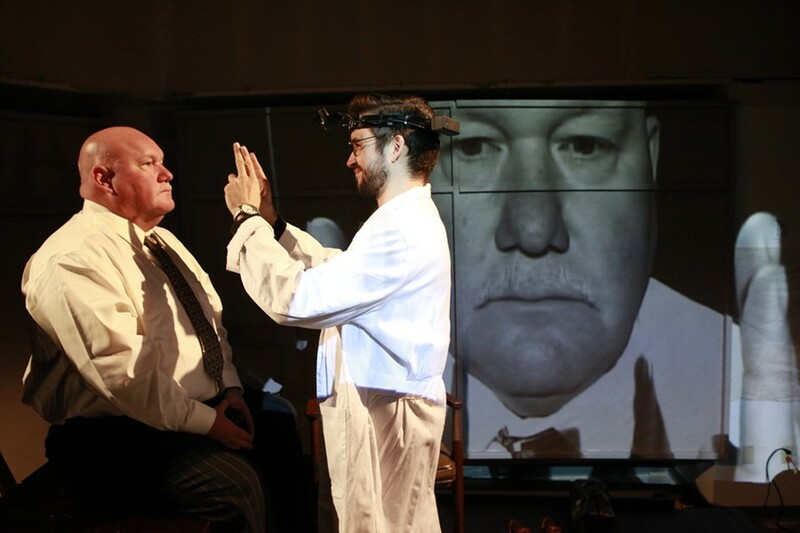 Never-predictable Quantum Theatre surprises again, this time with a chamber opera about neurology. It’s a heady show, with gorgeous music (by Michael Nyman) beautifully played by a small orchestra and beautifully sung by the three-person cast. 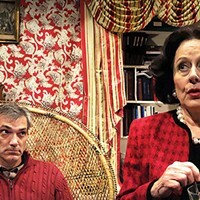 Kevin Glavin (left) and Ian McEuen in Quantum Theatre's "The Man Who Mistook His Wife for a Hat"
Quantum’s production is this 1986 work’s Pittsburgh premiere. Here’s Ted Hoover’s review for City Paper. 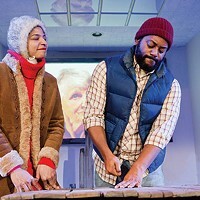 The show, staged in a vacant first-floor office space in East Liberty, has four more performances. Wednesday's is sold out, but tickets remain for Thursday, Friday and Sunday. The venue is at 200 N. Highland Ave. Tickets are $38 and are available here.